Despite the NCC setting a minimum energy rating requirement of six-stars for new homes in Australia, research has found this is routinely not being met due to a focus on ‘as designed’ rather than ‘as built’ performance. Adelle King reports. Australian Living recently hosted its Educate 1000 workshops in Brisbane, Adelaide, Melbourne and Sydney as part of its national campaign designed to deepen a culture of performance, compliance and collaboration in Australia’s residential building industry. The aim of the seminars was to address the issue of under compliance to state-based energy efficiency and thermal regulations, and drive better communication channels between industry and the community. According to Australian Living, many new homes and renovations are not meeting building code requirements for energy use and thermal comfort. Yet Australians are increasingly looking for ways to save on energy bills. According to Choice, homes account for approximately 11% of Australia’s total carbon emissions but the overall energy intensity of residential buildings in Australia improved by only 5% between 2005 and 2015, according to the Department of the Environment, Water, Heritage and the Arts’ Energy use in the Australian residential sector 1986-2020 report. Additionally, the International Energy Agency reported that Australia was one of the worst performers in terms of rate of improvement of building energy efficiency between 2000 and 2013. Aurecon global sustainability leader Jeff Robinson, who presented at the Educate 1000 seminar in Melbourne, says a lack of regulation regarding airtightness after construction is a major reason why Australia is falling behind other countries in the energy efficiency of its residential buildings. Since 2011, all new homes and renovations in Australia must meet a minimum six-star Nationwide House Energy Rating Scheme (NatHERS) or equivalent energy rating. However, a report from engineering and environment consultancy firm Pitt&Sherry, in collaboration with Swinburne University, found the requirements of the six-star NatHERS are routinely not being met. The report, The National Energy Efficient Building Project, found this is due to a focus on ‘as designed’ rather than ‘as built’ performance and a lack of market pressure for energy efficient features. “There isn’t consistent, rigorous checking and validation processes for energy efficiency measures like air tightness and the installation of insulation during and after construction,” says Jeff. Unlike in the US and UK, Australia does not require verification of airtightness through testing and inspection, and there is no further assessment after the design stage to ensure recommended energy-saving requirements are installed or installed correctly. “It is not common practice in Australia to implement mandatory inspections of energy efficiency features and inclusions,” says Jeff. While the National Construction Code (NCC) does require residential buildings to include features that minimise air leakage and sets out requirements for common air leakage points to be sealed, it does not specify minimum performance levels that need to be achieved. The NCC 2019 Public Comment Draft includes some improvements in areas such as split heating and cooling loads, sealing, and condensation management but does not increase the stringency of requirements for household energy performance. “In the case of residential buildings, in Volume 2 (Residential) of the NCC Public Comment Draft, airtightness testing can be used as a method of demonstrating compliance with V2.6.2.3 verification of building envelope sealing,” says Jeff. Jeff says because the building industry is largely left to self-regulate in regards to the installations of energy-saving measures, even well-built, six-star homes are falling short on airtightness standards. According to Choice, draught sealing can cut up to 25% off a power bill. Additionally, the Building Code Energy Performance Trajectory Project Interim Report by Climate Works Australasia in conjunction with Australian Sustainable Built Environment Council (ASBEC), found improvements to airtightness could deliver 28%-51% reductions in energy costs. This equates to improvements of up to two and a half stars on the NatHERS scheme. The Department of the Environment, Water, Heritage and the Arts says an energy rating improvement of one star can increase the market value of a home by 3% on average. “Air sealing is one of the most cost-effective and durable interventions that can be made in new buildings under construction,” says Jeff. An August 2013 market research study by Sustainability House for the Department of Resources Energy and Tourism found the average cost of undertaking either a thermal imaging assessment or blower door test in a three-bedroom detached single house was $400-$600. “The average cost of a home in Australia is several hundred thousand dollars so an investment of $800-$1,200 to improve the quality of construction to ensure the home owner gets what they paid for – an energy efficient, well insulated, airtight, comfortable home – represents good value for money,” says Jeff. Jeff says he’s advocating for the NCC to include recognition in the form of two certificates for those who are taking care to ensue the energy efficiency of homes they’re building. 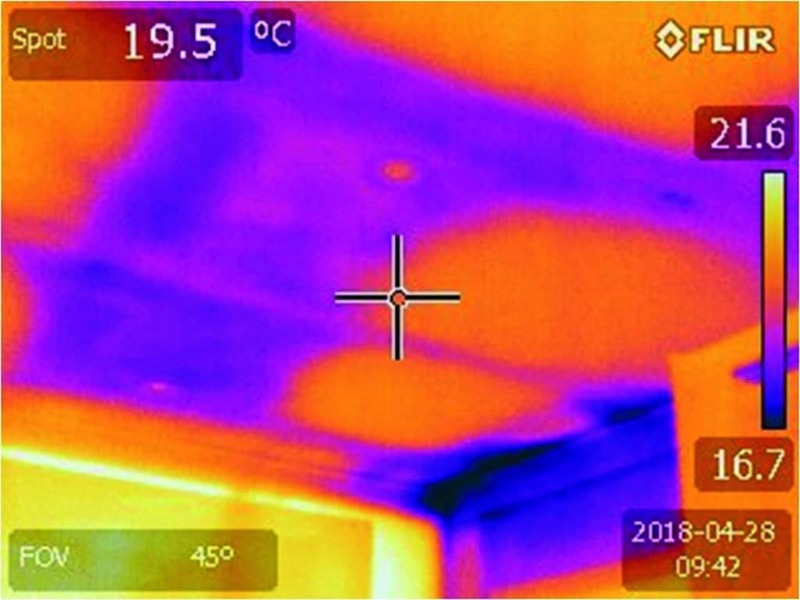 One would prove that a building has passed an air leakage test, while the other would be a thermographic test to show insulation has been properly fitted. “One of the challenges with this is that airtightness and insulation aren’t important to most customers because they don’t understand how these work. The responsibility therefore lies with governments to set down the levels required and police methods to make sure these things are being incorporated,” says Jeff. “However, there are opportunities now for progressive home builders to provide airtightness certificates ahead of regulation in the NCC. In the US, there are 1.6 million energy star homes, saving an average 30% on their energy usage. A similar Australian label would denote buildings that have been inspected for proper air barrier installation and testing compliance with Australian standards.